It features a 6-inch Full HD+ FullView display with a 2.5D curved screen and has a screen-to-body-ratio of 18:09. The dual SIM VoLTE supported COMIO X1 Note is available at an MRP of Rs 9,999 and comes in Royal Blue and Sunrise Gold colour variants. COMIO, a mid-range smartphone maker unveils its new flagship smartphone named X1 Note. 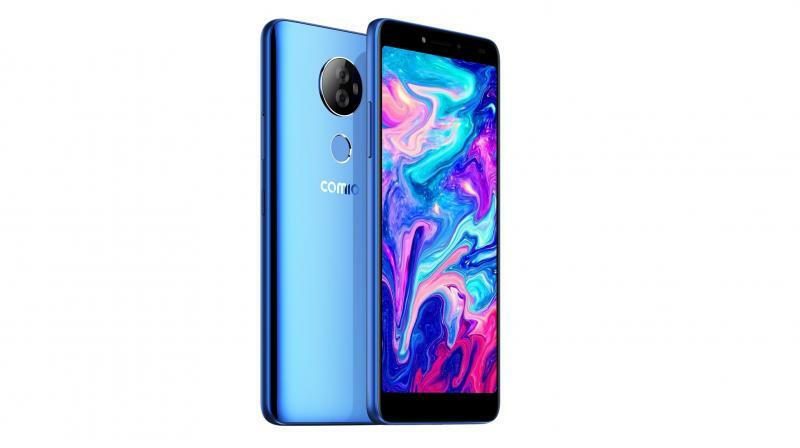 It features a 6-inch Full HD+ FullView display with a 2.5D curved screen and has a screen-to-body-ratio of 18:09 with a pixel density of 402ppi. The X1 Note is built on a MediaTek MTK8735 chipset with a 1.45GHz quad-core processor and has Mali T720 MP2 A53 GPU. It is paired up with 3GB of RAM and 32GB of onboard storage, which further has a microSD expansion support up to 128GB. In terms of camera, the X1 Note boasts dual camera setup sporting 13MP and 5MP lenses at the rear and an 8MP selfie camera. The front camera additionally features COMIO's 'Intruder Selfie' security feature, which claims to add an extra layer of security. The rear cameras support Auto Focus and have an aperture of f/2.2 and f/2.4 respectively, while the front camera sensor has a f/2.4 aperture. The dual cameras are capable of recording 1080p videos and the selfie camera can record up to 720p. The X1 Note is powered by a 2900mAh battery and lastly, it runs on Android Oreo out-of-the-box. On the connectivity front, the device supports Bluetooth 4.0, Wi-Fi and has a built-in FM radio. The phone features a 3.5mm headphone jack and has OTG support. The X1 comes with Face Unlock authentication in addition to fingerprint scanner mounted on the rear panel underneath the rear cameras. The dual SIM VoLTE supported COMIO X1 Note is available at an MRP of Rs 9,999 and comes in Royal Blue and Sunrise Gold colour variants. The company has teamed up with Jio and is offering Jio users an additional cashback of Rs 2,200 at the time of first successful recharge of Rs 198/299 monthly plan.